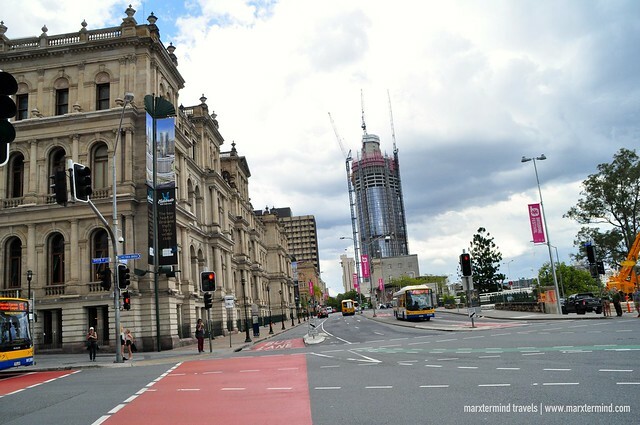 After ten days and two cities in Australia, I continued my journey by going to Brisbane. Finally, I reached the part of my trip wherein I could somehow feel a familiar tropical climate, a warm sunny weather it is. You know, I’ve been dealing with freezing temperature since I had arrived in Australia – and my layers of jumper weren’t actually enough to ease the coldness. Well, I came unprepared with my garments. 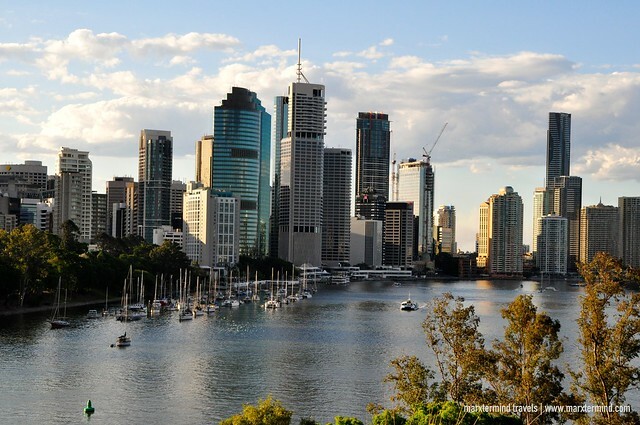 Unlike other cities in Australia, Brisbane has a humid subtropical climate with a warm or hot weather most of the year. Yes! It was mostly sunny when I was the city. The nice weather permitted me to get around and have a pleasant walk to see some of the city sights. 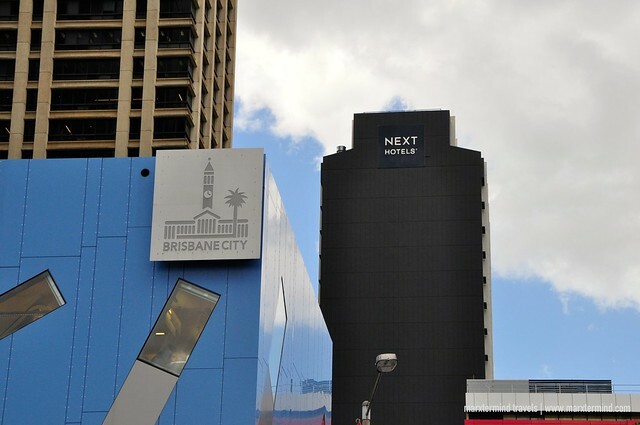 Brisbane has unique and interesting things to see and do around. I had two days but after spending it to see some of the important landmarks, it seemed like it weren’t enough to fully explore this great tourist destination. I was with my cousins the entire time that I was in Brisbane. In fact, I stayed in their apartment while I was in the city. They offered me to stay in their place and tour me around – and that was something hard to refuse. I’ve got a place to stay for free, instant companions, tour guide and of course it was an opportunity to get along with them, as well. I didn’t have a solid itinerary for Brisbane so I just let my cousins get me to the places that they find interesting. In two days’ time, we were able to get to some of the city’s main sites. Though we weren’t able to cover the city completely, the places that we’ve actually went to be sufficient for me to experience the warmth and friendliness of the city. 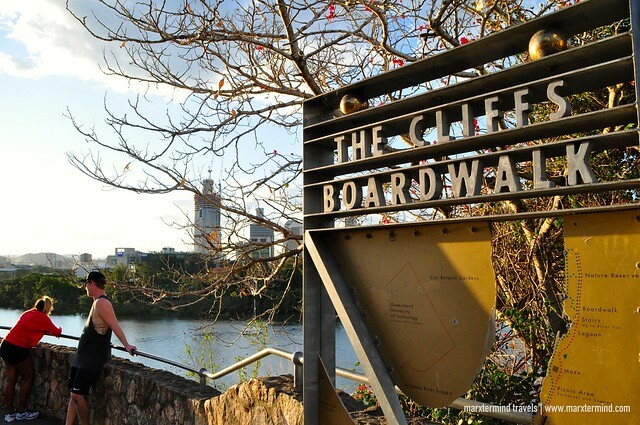 Our first destination was the Kangaroo Point Cliffs Park. 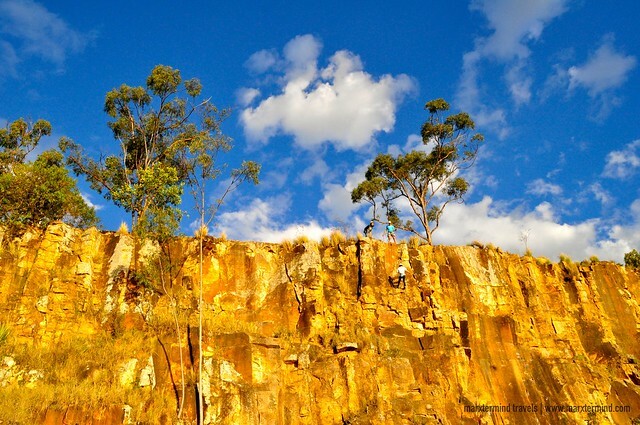 This place is famous for rock climbing. It is also a wonderful place to hang out, have picnics and for family activities. It is also a friendly place for a walk. The park is also a nice area for fitness enthusiast. We’ve actually passed by a lot of joggers. 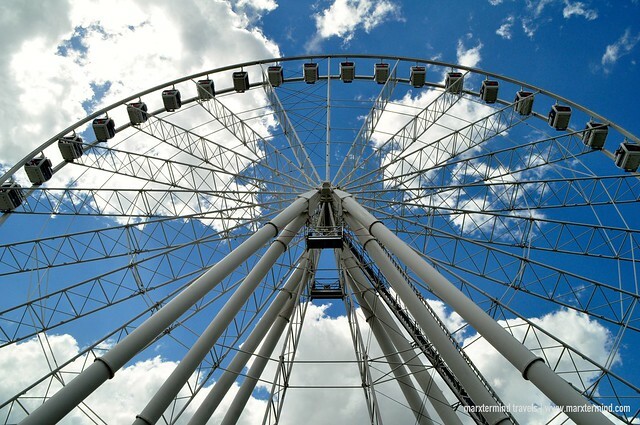 This tourist spot is also a great vantage point to see the Brisbane River. A rainforest, grassland, and a plaza, those are some of the interesting sites that can be seen in the South Banks Parklands. 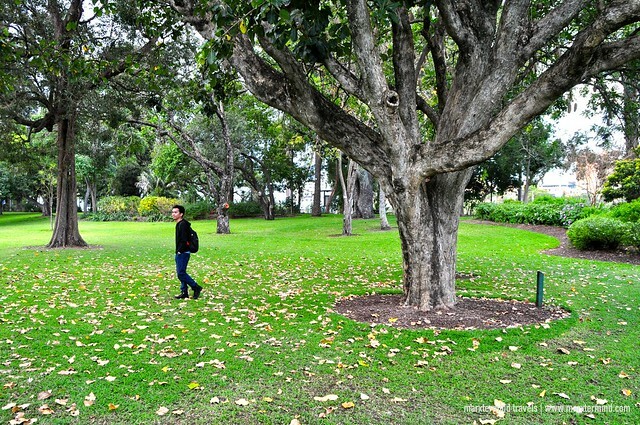 After riding the City Cat Ferry, we alighted at the South Banks Parklands – and spent some time to explore the area. 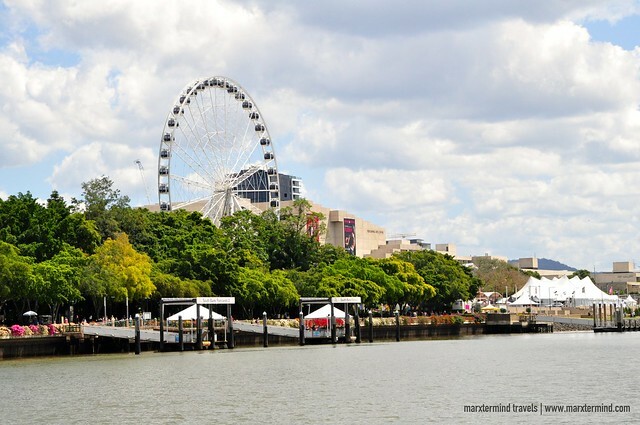 This well liked tourist destination is located at the southern bank of Brisbane River. 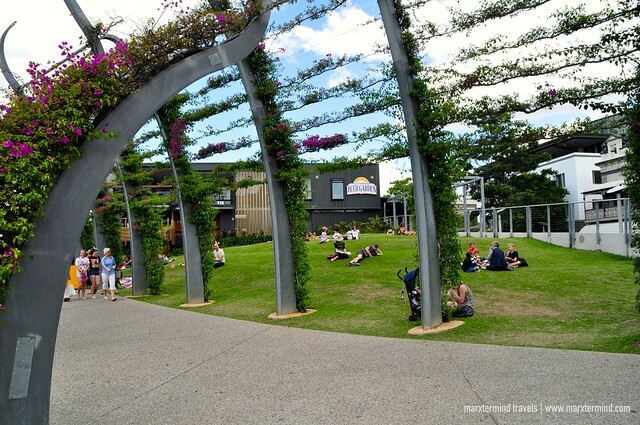 It features riverfront promenade, the Streets Beach, the Grand Arbor, the Courier Mail Piazza, the Nepal Peace Pagoda, the Wheel of Brisbane, and some other restaurants and shops. 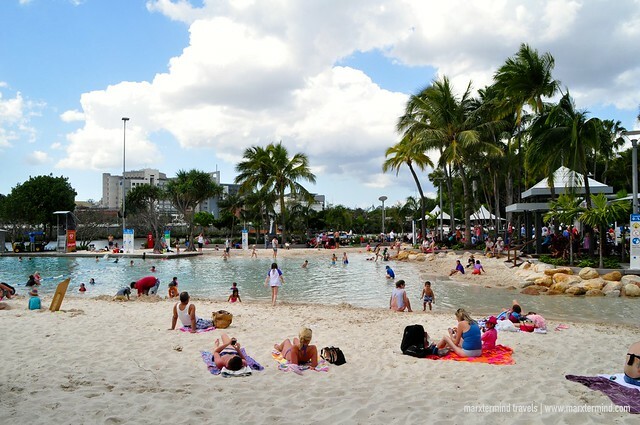 The Streets Beach is one of the most unique things that I’ve seen inside the parklands. This major attraction is a man-made beach. The beach area has lagoon, rocky stream, sand beaches and tropical trees. Nearby the area, we also chanced upon a small carnival. 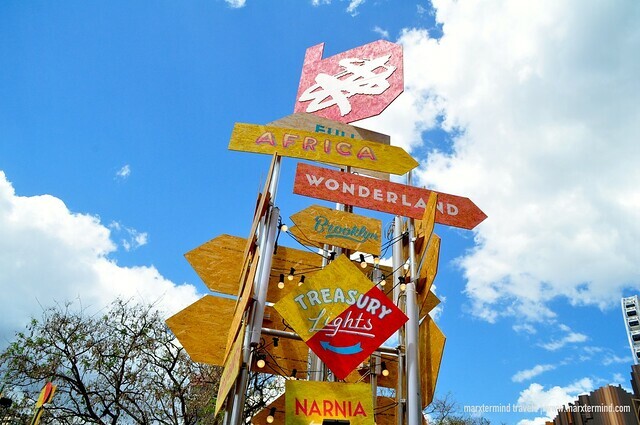 It was Brisbane Festival week and there were a lot of activities and events happening around. 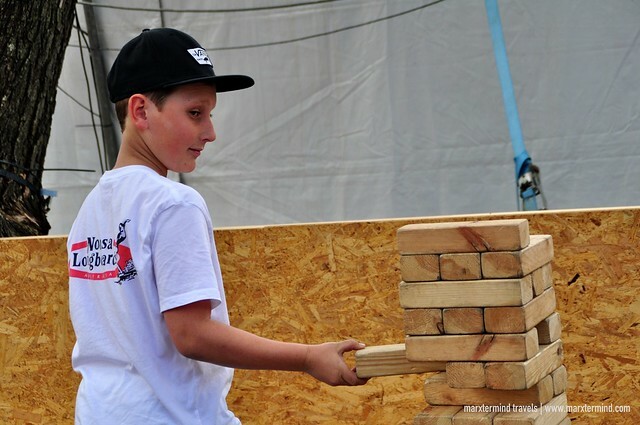 Since admission to the carnival was free, we went inside and checked out some latest happenings. 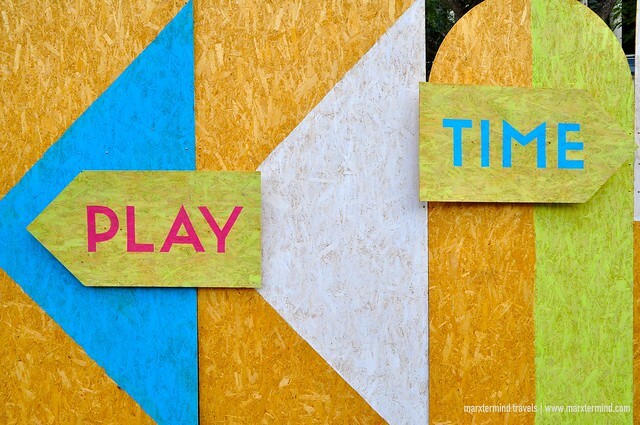 Inside, there were stalls, game areas and chalk arts. 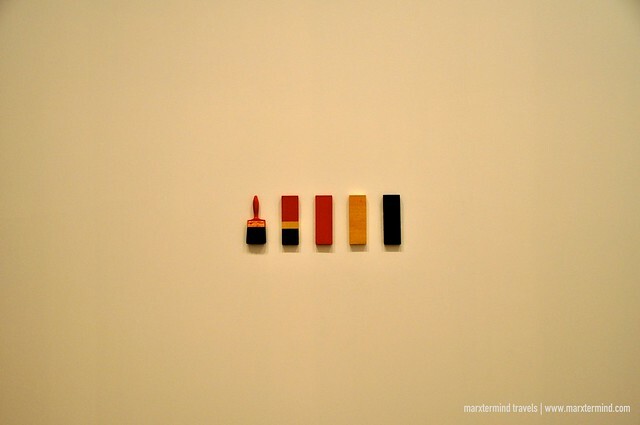 Still within the South Bank precinct, we paid a visit to Queensland’s very own art museum, the Gallery of Modern Art. 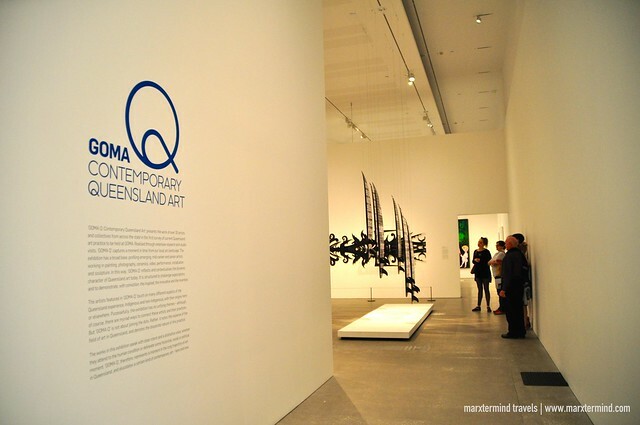 GOMA, as locally known it, is the largest gallery and contemporary art in Australia. 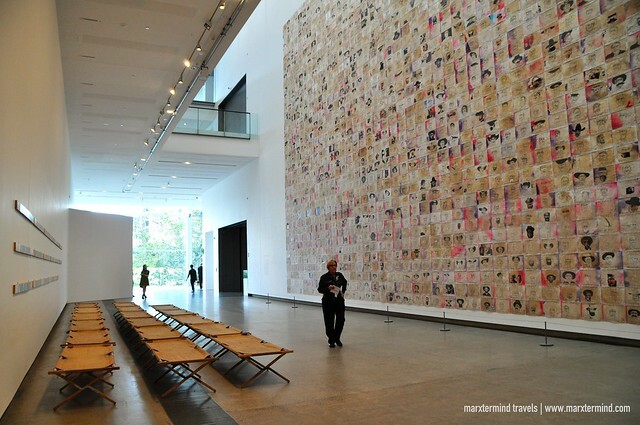 The gallery holds a collection of works of historical, modern and contemporary art. 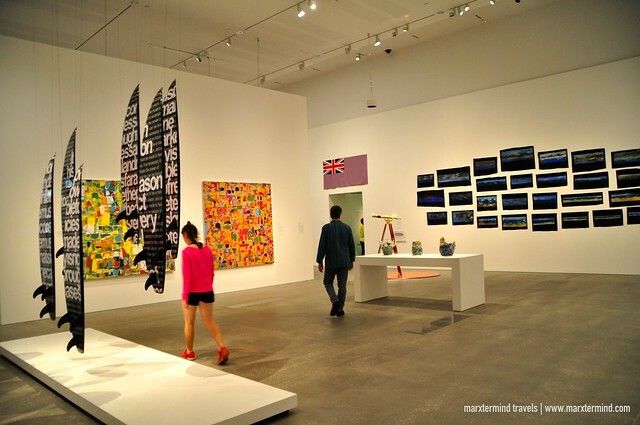 They showcases a dynamic program of Australian and international exhibitions. 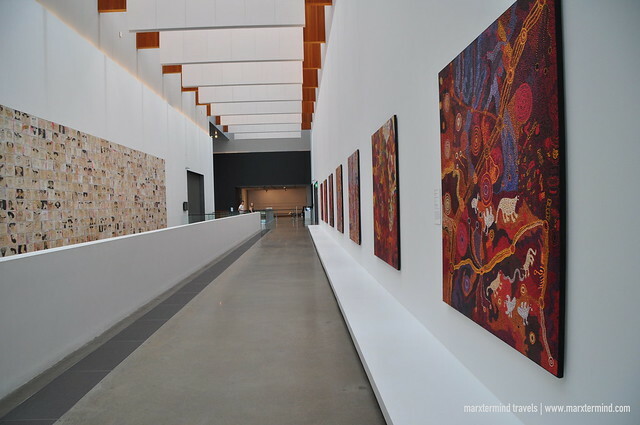 The gallery is an absolute must-see when in Brisbane. I wasn’t really a fan of galleries and museums but after visiting this place, I’m now fascinated in seeing more places of such type. The gallery displays great collection of interactive and unique exhibits. They also have screenings and programs that I’ve found interesting. 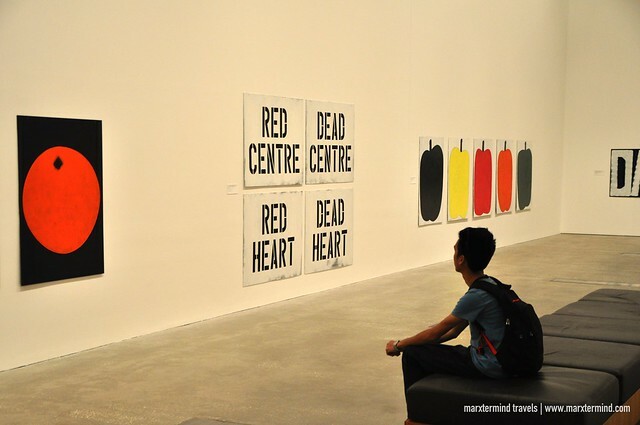 This place was indeed an excellent museum for modern art. Admission to the gallery is free. It is open daily from 10:00 AM to 5:00 PM except on Christmas Day and Good Friday. We crossed the Victoria Bridge and went to the inner city of Brisbane. While crossing the bridge, we were able to pass through the Pacific Motorway Bridge. 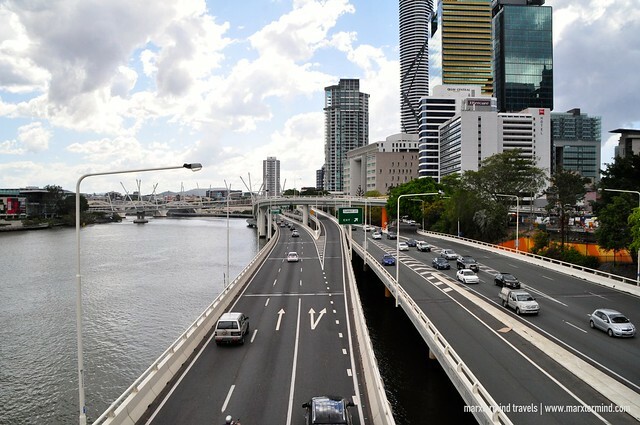 This highway in Australia stretches between Brisbane, Queensland, and Brunswick Heads, New South Wales through the New South Wales – Queensland border at Tweed Heads. When we reached the other side of the river, we saw the iconic Treasury Casino & Hotel. This casino and hotel complex has a hotel, casino, restaurants, bars and a nightclub. We just passed by the building and continued our walk towards the Queen Street Mall. 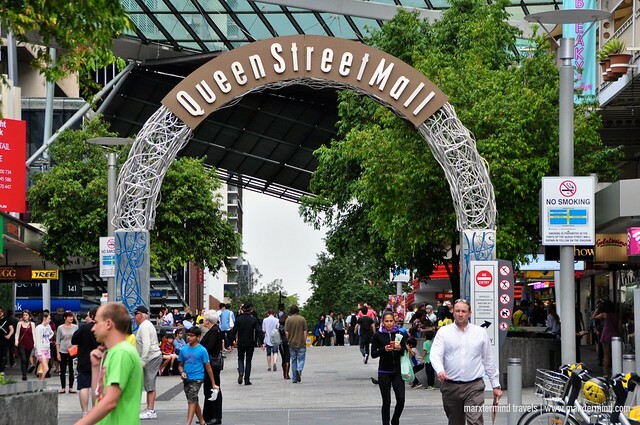 The Queen Street Mall is the most famous pedestrian mall located on Queen Street in the center of the city. 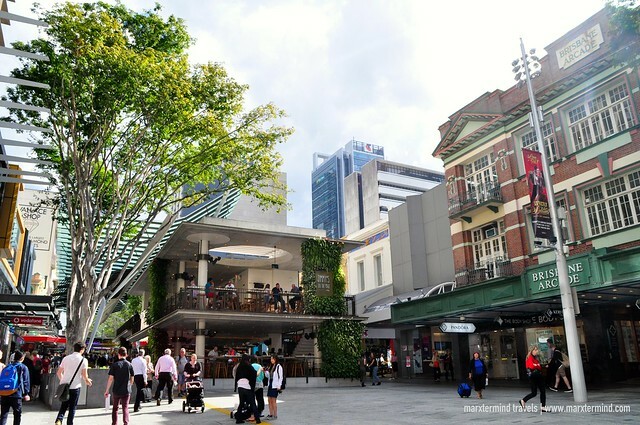 It is a vibrant shopping and lifestyle precinct that houses hundreds of retailers, restaurants and major shopping centers. Since we were already in the area, we had our lunch here. We also went to some few stalls and bought some souvenir items to take home. 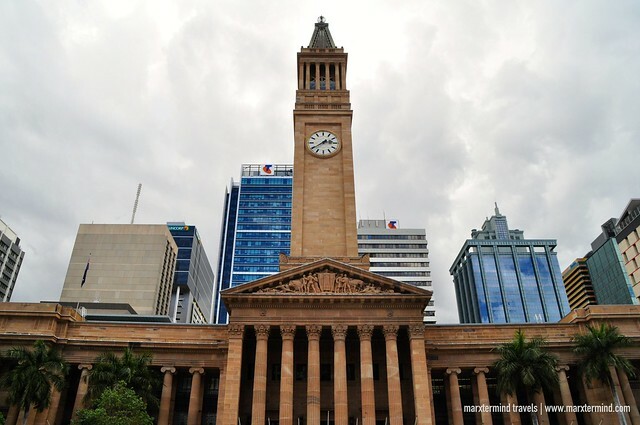 After having our lunch, we went to the Brisbane City Hall and took some pictures. 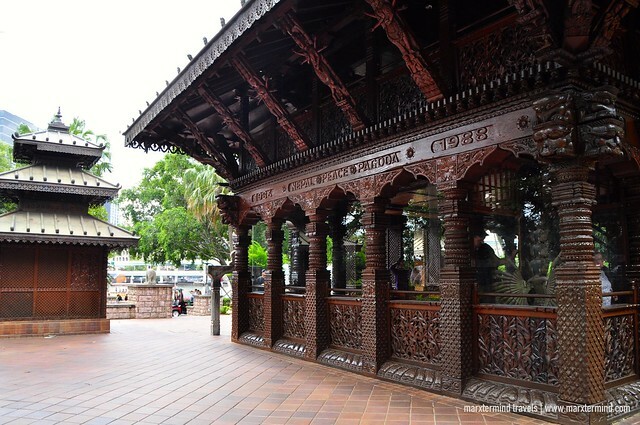 This heritage-listed City Hall has been the setting to many cultural, social and civic events. The City Hall is also a perfect place to learn about the history of the city. They have daily-guided tours showcasing the Main Auditorium, Father Henry Willis Organ and the iconic clock tower. We went to City Botanic Gardens after spending a few hours strolling around Queen Street Mall. We exited via Albert Street and walked the street to reach the City Botanic Gardens. 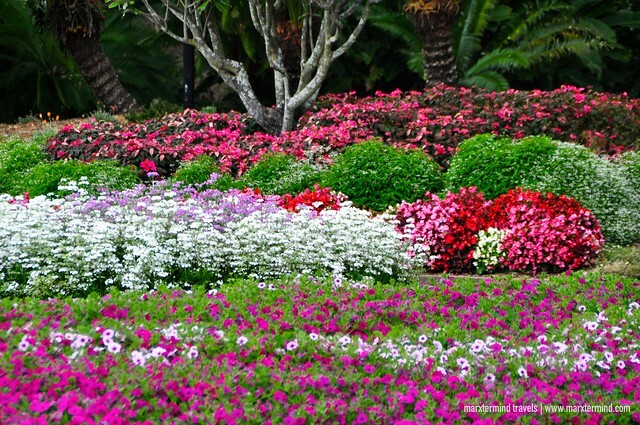 This garden complex is the city’s oldest park and the original botanic gardens. It is open from 8:00 AM to 5:30 PM. Admission is free. The garden complex features lawns, sculptures and ornamental ponds. 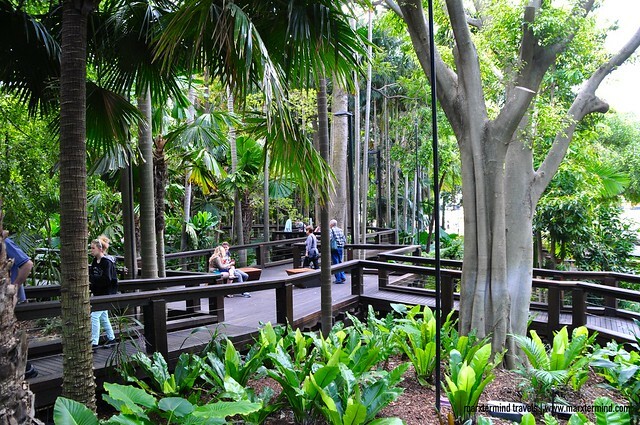 The gardens also have Bamboo Grove, Weeping Fig Avenue, River stage and more. My cousin and I wandered around the park. We took some pictures. This place was actually really nice. It was well kept. It was quiet and peaceful. It was a great place most especially for walking. After an hour spending around the garden, we left the area and went back to my cousin’s place. It was already getting late in the afternoon and we were still going to Gympie, where I had stayed for a couple days to visit the rest of my relatives who lives in Australia. It was a pleasant two-day tour around Brisbane with my cousins. I was happy that they accompanied me in getting around. Although the time that I allotted for Brisbane wasn’t enough, I was still glad that I was able to walk around the city. I know there are a lot of attractions in Brisbane that I missed. But nevertheless, I was grateful that I was able to see the city and get to its important landmarks. But more importantly, I was able to get along with my cousins on this part of my journey in Australia. Definitely but too bad I've only spent few days. 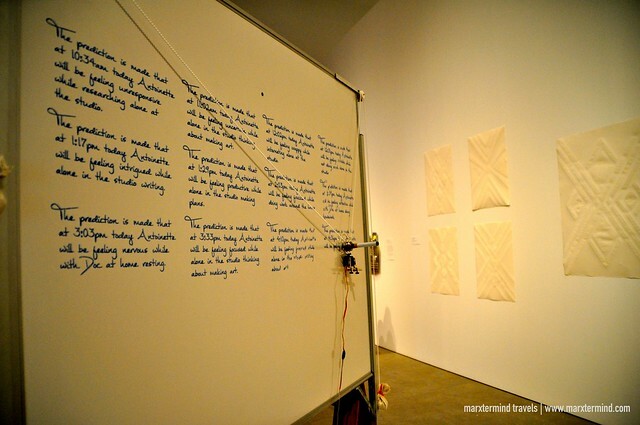 I hope I could go back in Brisbane and see more of it. I truly love living in Brisbane. Even from my storage facility, there's always some new thing to see or some new restaurant that's opened up to try. It's never dull for sure.